First ride and drive event in our county. Georgia Power, GA Dept. of Natural Resources, Nissan and Kia Motors were all a big help. It really turned out to be more of an event for local EV owners to come together and swap stories. Not as many from general public as hoped, but we got some good local press from it and I think it will just grow from here. Please join us to see electric vehicles from Nissan, Kia and other manufacturers, learn about driving electric from Rockdale EV owners. Georgia Power will be on hand with their electric vehicle and education materials. Representatives from GA Environmental Protection Division will share info about low emissions vehicles. 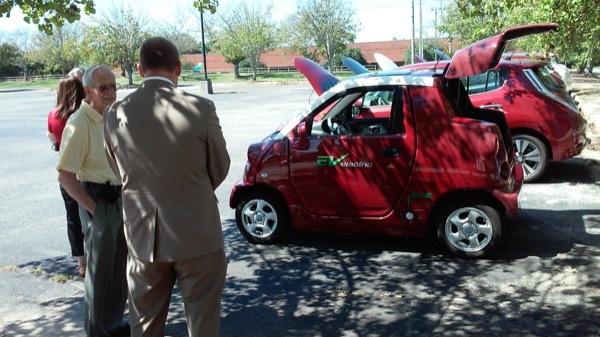 Registered attendees report 64,500 electric miles driven.